I failed my way to success. while others wake up and work. We are a global technology, analytics, and services company committed to optimising value for our clients and their businesses. We develop an in-depth understanding of our client’s challenges and combine our core offerings to deliver innovative and customised solutions that accelerate the client’s vision. Jindal Intellicom’s information technology team comprises of experienced and knowledgeable developers using robust platforms and processes to build customized solutions for business problems. Our earliest success came in 2001 with tools developed for automating production process planning for a steel mill in Houston, Texas. Subsequently, we continued to develop in-house IP and began marketing customized solutions to Group Companies as well as clients across India and the United States. Jindal Intellicom can provide insights critical to our clients’ business using their data. We have experience in meeting the challenge of extraction and analysis of this raw data in a way that is meaningful and of value to the client. We combine the art and science of data analytics to collect, organize and present the data in simple and powerful ways. Clients are then able to use the insights as input for decision-making. The business intelligence dashboards that we create combine data visualization and descriptive analysis, which can be used by cross-functional teams sitting in several locations. Jindal Intellicom is a full service, client centered, BPO service provider with in-depth function knowledge and demonstrated industry experience. While we have the scale and resources to service large mandates, our flat, agile and responsive teams remain client focused at all levels and through all phases of the engagement. This close collaboration with clients and detailed understanding of their business, results in high impact and innovative solutions. We invest in and upgrade to best in class technology to build long-term relationships with our clients. 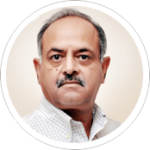 Over the last two decades, Sanjiv’s career within the Jindal group where he serves as a part of the executive management can be best defined as that of a serial Entrepreneur. During his tenure, Sanjiv has conceptualized, incubated and converted several business ideas across diverse sectors into profitable ventures. These include, but are not limited to, setting up an iron ore mine (with a capacity of 7 million MT/year ROM), a 2 million MT/ year ore beneficiation plant, a 10 million liter per day STP for the city of Bhilwara, Rajasthan and a 1.2 MMT / year pelletization plant. Each venture is now professionally managed within the group and is a profit making entity. Mandavi is responsible for the collaborative and high-performance culture at the company. She leads client engagements and manages client teams. Her relentless focus on learning and development drives her team to pursue excellence for clients. 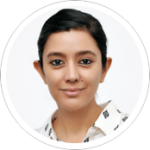 Mandavi also brings significant experience in managing large analytics and services based projects to her current role. Mandavi has a Masters degree in Business Administration and a B.Sc. in Statistics. Narender leads HR (Talent Acquisition), Transactional Quality, and general administration across all divisions. He is also responsible for the business development and training functions for the domestic BPO division. With 16 years at Jindal Intellicom and another 27 years of experience in banking, he delivers and achieves varied functional goals. 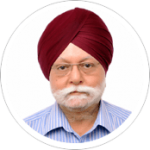 Narender has a Masters degree in Business Administration with a specialisation in Finance from Delhi University, a Masters degree in Commerce, and a postgraduate diploma in Personnel Management. 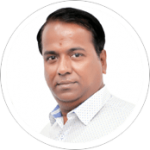 Vijay has more than 25 years of experience across the telecom, BPO, data centres, and software development sectors. He leads the IT, networking, and telecom teams at Jindal Intellicom. Prior to joining the company in 2001, he worked with well-known telecom brands like Unitel, Tata Telecom, and Servion Global. During his career, Vijay successfully executed major projects for Indian Defence, GE, Arthur Anderson, SBI, ICICI Bank among others. Vijay has a B.S. in Electronics & Communications Engineering.